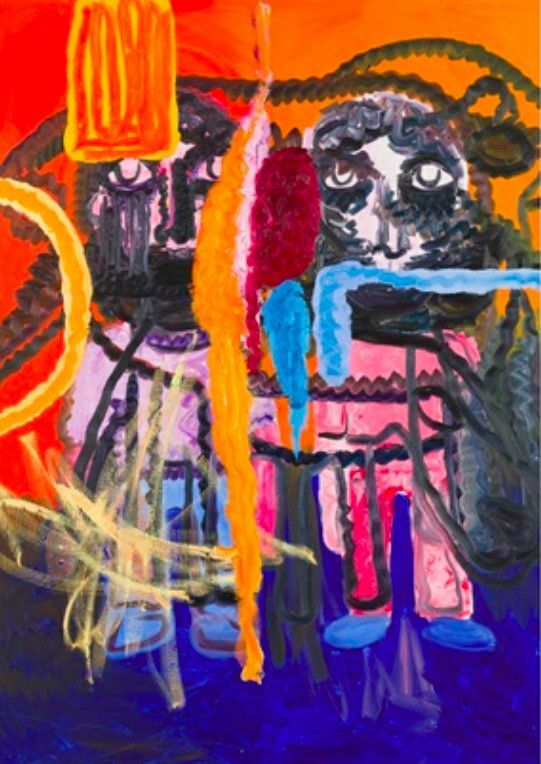 Bjarne Melgaard’s prolific and diverse practice can be regarded as single work that is being worked on all the time – a Gesamtkunstwerk. As part of this continuous project, Melgaard has also written 15 novels. While some of these novels have been written and published with an ISBN, other novels are constellations of objects, staging of furniture, floor-to-ceiling written installations. This group of new paintings, rendered in bright reds and blues, a recurring pale purple, take his latest novel as a starting point.